I want to welcome Brooke Moss to Books R Us. Brooke is Touring the blogosphere with her debut book The "What If" Guy. Thanks for stopping by. Thanks so much for having me her at Books R Us, what a thrill! Picture this: You’re in line at the grocery store, and there is a couple standing in front of you. He is wearing a slightly-to-tight business suit that has seen better days, and she is wearing sweats with not a drop of makeup on. The cart is filled with fruit snacks, diapers, baby wipes, and maxi pads. And there are three children, all of whom could desperately use a bath (and a leash) literally running circles around the checkout stand. You stand there with your own groceries, trying to ignore it as one of the kids rams his soccer cleats into your calf, and pretend to be deaf as the couple starts arguing about money. This couple appears to have no romance. No flame of passion ignited between their bodies as they move to put the Gogurt and Flintstone vitamins on the conveyor belt. They seem dull. Bored. Tired. Typical. They don’t resemble the characters in the book sitting on your nightstand at home. Those two…now those two have some passion. The fire is definitely not out between Renaldo and Lady Katerina, that’s for damn sure! As a writer of contemporary romance and women’s fiction, I work hard at being able to see through the wrinkles and extra padding around the middle. I try my best to look past the wrinkles and worn clothes, and the mini van with the DVD player blaring the latest Disney movie at top volume. Because, underneath it all, every couple—whether married or not, whether old or young—has a love story. There was a moment for each of them when a glimpse of a smile, or the brush of a hand, would send their heart into hyper drive. When their first kiss or their first intimate moment with each other rocked each other’s lives so greatly that, if even for just a millisecond, they saw stars. When I interact with people, I tend to ask a lot of personal questions. I don’t mean to be invasive, but I think it puts people off at times. But I want to know their stories. I want them to tell me about their first kisses, or about the moment when they knew that their husband was “the one”. I am always the one at the girls-night-out who asks everyone to share what their best date involved, or what their first time in bed with their spouse was like. I draw from real human experience when I write my books. When I create a new cast of characters, and a storyline filled to the brim with subplots, I draw from the families and friendships and working relationships all around me. Every character, whether protagonist or antagonist, is loosely based on someone I’ve met during my lifetime. It is my job, as an author, to create characters that my readers can relate to. Characters that one could potentially stand behind in the checkout line at the grocery store. Characters that could be you, or me, or Joe Blow down the street. Chick lit is all about creating scenarios that the reader can connect with. Pain that the either has, or could have effected their lives. Joy that warms a readers heart because it is pain that could potentially happen in their own lives. Pleasure that could warm their beds at night. The couple in line at the grocery store could have an amazing love story to share. It’s just a matter of finding it underneath all of those diapers and fruit snacks. My name is Brooke Moss, and my debut novel, The "What If" Guy , is available now through Entangled Publishing. It shares the story of Autumn Cole, who reluctantly moves back to the miniscule farming community of her youth, to reclaim her role as daughter of the town drunk. Autumn quickly realizes that life will be much more complicated than she originally thought when she discovers that her son’s history teacher is the college sweetheart she dumped twelve years before. Again, thanks for having me today. The "What If" Guy is available at Amazon, B&N, Books On Board, and at your local bookseller. A special thanks goes to Entangled Publishing for their amazing prizes and giveaways. Thanks guys! 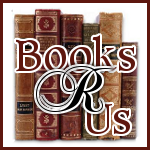 Find me on the web at Website, Blog, Twitter, Goodreads, and Facebook. After losing her job at a swanky Seattle art gallery, single mother Autumn Cole reluctantly returns to her tiny hometown of Fairfield, Washington. Autumn’s disgruntled twelve-year old son isn’t thrilled about going from hip to hick, but Autumn’s got it worse. She’ll get to resume her role as the town drunk’s daughter. When his public divorce turns ugly, history teacher Henry Tobler decides to disappear. He finds exactly what he’s looking for amidst Fairfield’s quirky residents, but when the woman he’s pined for since college shows and nearly breaks his nose in front of a classroom full of twelve-year-olds, his newfound peace threatens to crumble. Autumn cannot believe Henry is in Fairfield, or that fate chose such a miserable time to drop him back in her life. She and her father face a crisis decades in the making. Can rediscovering love--and herself--with her “what if” guy teach Autumn to forgive before it’s too late? Would you Like to win a ecopy of the book? Just enter my contest. Extra entries: LEAVE A SEPARATE COMMENT FOR EACH EXTRA ENTRY. Become a friend of Brooke on Facebook. Contest ends on 8/11 at 11:59pm. Winner will be chosen by random.org. Please provide a valid email address so your ebook can be sent to you. Good Luck . "The What If Guy" sounds great! Nice to know I'm not the only one who asks the "ackward" questions on girls night out...lol...Congratulations on the release of the new book. And thanks for all of the support, Maria! Hope you like the book. Congrats on your new release! It sounds great! Thanks for sharing and for the chance to win! Thanks for the support, guys! I really hope you enjoy the book! LOL...in all honesty, I am so busy these days, I probably wouldn't have noticed anyway. Here's to tired authors! Sent FB friend request to Brooke. Like Books R Us on FB. Hey thank you you for the giveaway! That really kind of you! Sounds good..thanks for the giveaway!! !